Scribner has unveiled the full U.S. hardcover edition cover for Stephen King’s Finders Keepers. Finders Keepers is the second book of the Mr. Mercedes trilogy. A masterful, intensely suspenseful novel about a reader whose obsession with a reclusive writer goes far too far—a book about the power of storytelling, starring the same trio of unlikely and winning heroes Stephen introduced in Mr. Mercedes. Finders Keeps will be released on June 2, 2015. What’s this? The Green Hornet and Kato breaking into the Gotham City National Bank? Can it be? Have they really become the criminals that Batman already believes them to be? It looks like the Dynamic Duo and their uneasy allies are about to go head-to-head! Meanwhile, General Gumm prepares for another crime…and sets another trap! 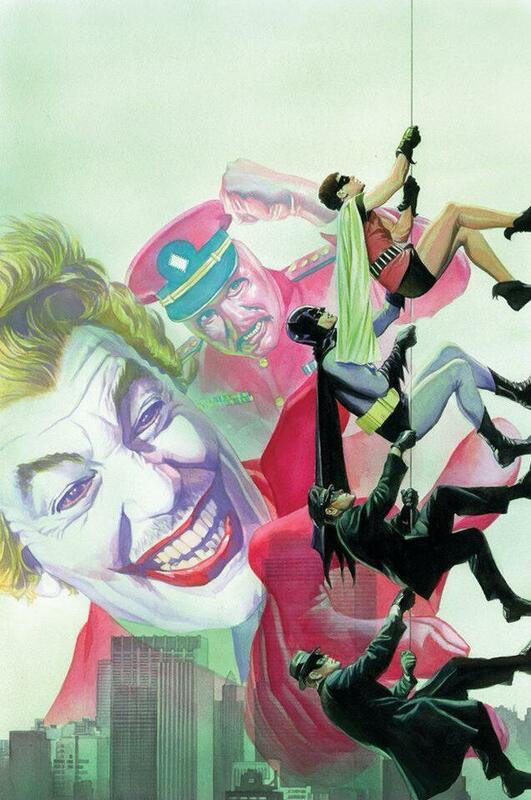 Written by Kevin Smith and Ralph Garmin with an amazing cover by Alex Ross, the issue goes on sale September 3, 2014. 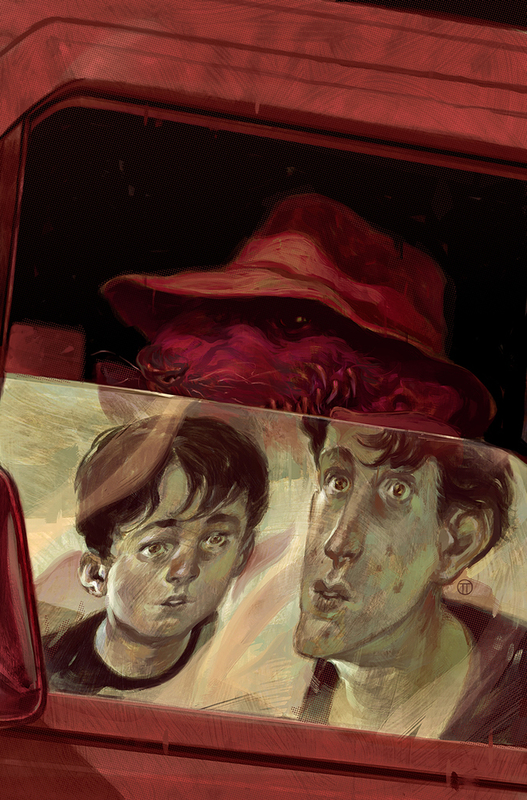 StephenKing.com revealed the cover of Marvel’s The Dark Tower: The Drawing of the Three – The Prisoner #2. Check out the artwork by Julian Totino Tedesco below. Coming September 17, 2014 The Drawing of the Three: The Prisoner#2 features scheming mobsters and sinister low men making their moves to corrupt the good that lies within eight-year old Eddie Dean and his troubled older brother Henry. The Dark Tower: The Drawing of the Three – The Prisoner is a comic book adaptation based on the novel by Stephen King. 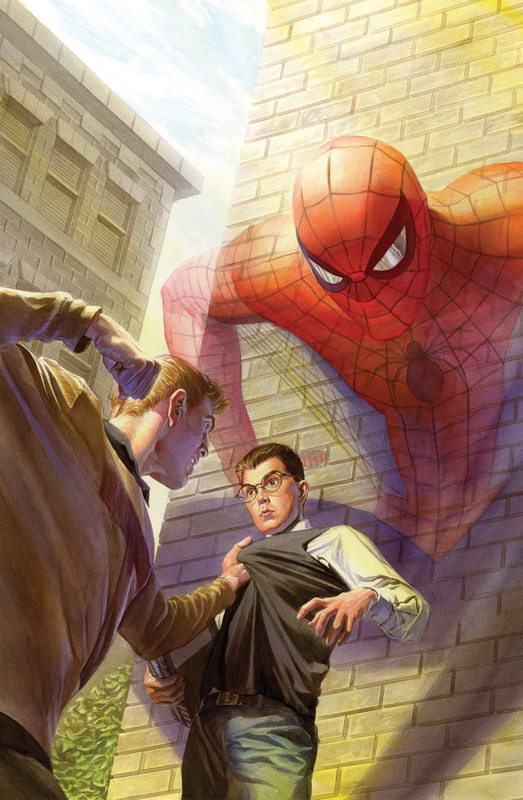 Amazing Spider-Man #1.2 will be written by Dan Slott with art by Ramon Perez and an amazing cover by Alex Ross. J. Jonah’s Jameson’s crusade against Spider-Man kicks into overdrive! He warned us! He told us that kids might try to emulate Spider-Man! And he was right. In the June issue, we’ll meet Clash, New York’s newest menace. He may be Spidey’s biggest fan, but he’s about to become one of his worst enemies. Wanted by the cops, turned away by the Fantastic Four, his grades are slipping, and he still hasn’t figured out this whole crime-fighting-thing. Pete’s not a hero… not yet… but he’ll get there. Somehow. 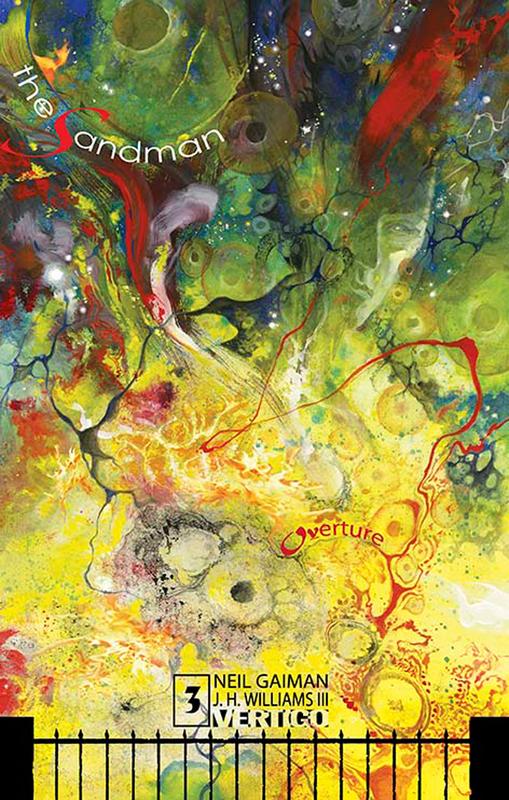 Here is a first look at the cover of The Sandman: Overture #3 illustrated by J.H. Williams III. The highly anticipated new Sandman series written by Neil Gaiman continues! The Sandman: Overture #3 is the third chapter of the 6-issue limited, bimonthly series that explores just what happened to Morpheus before he was captured in The Sandman#1. The issue hits shelves April 30th, 2014. 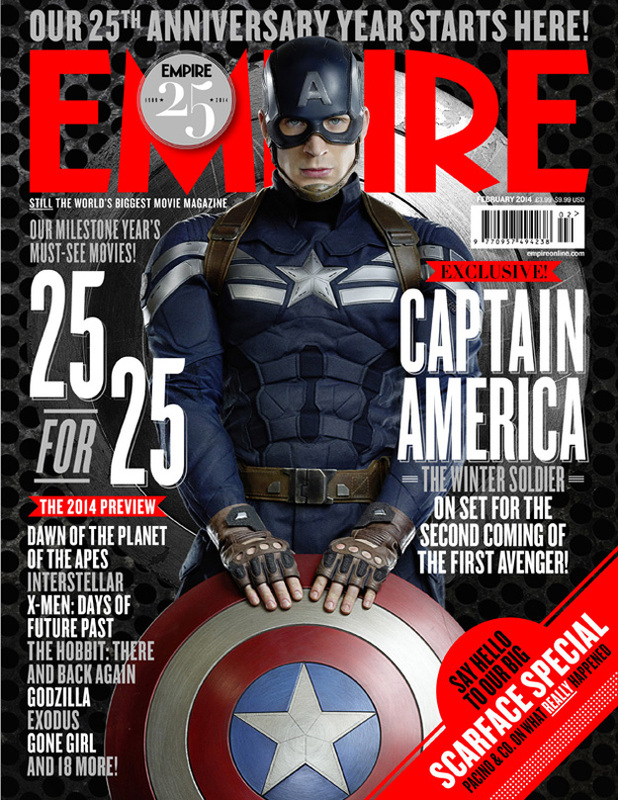 Empire magazine has unveiled two covers for its upcoming February issue and they both feature Captain America: The Winter Soldier. You can check out the regular cover and the Limited Edition Collector’s version below. 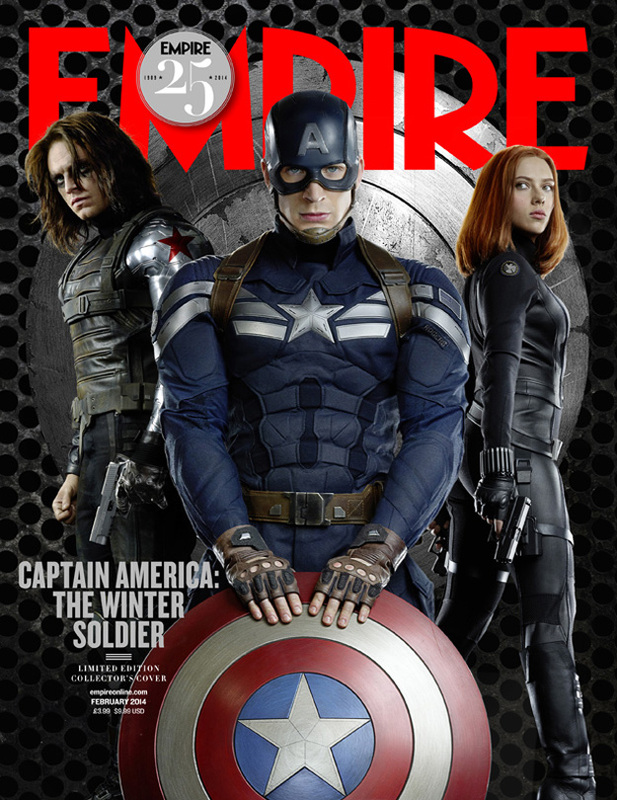 The April 4 release stars Chris Evans, Scarlett Johansson, Samuel L. Jackson, Robert Redford, Sebastian Stan, Anthony Mackie, Cobie Smulders, Frank Grillo, Georges St-Pierre, Hayley Atwell, Toby Jones, Emily VanCamp and Maximiliano Hernández. 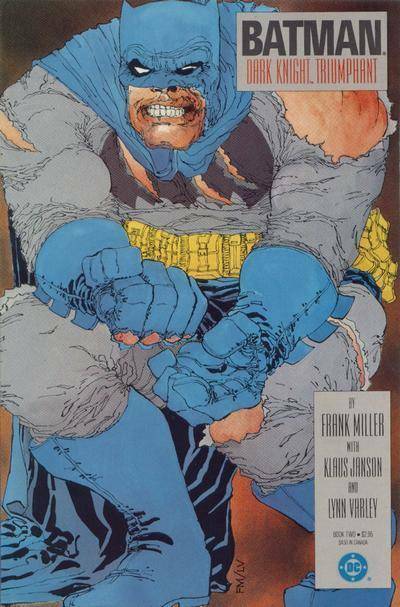 It’s another spectacular selection of adventures by some of comics’ top talents, with tales of The Dark Knight by Lee Bermejo, Marv Wolfman and Riccardo Burchielli, Rian Hughes, Damion Scott and Paul Dini and Stephane Roux. 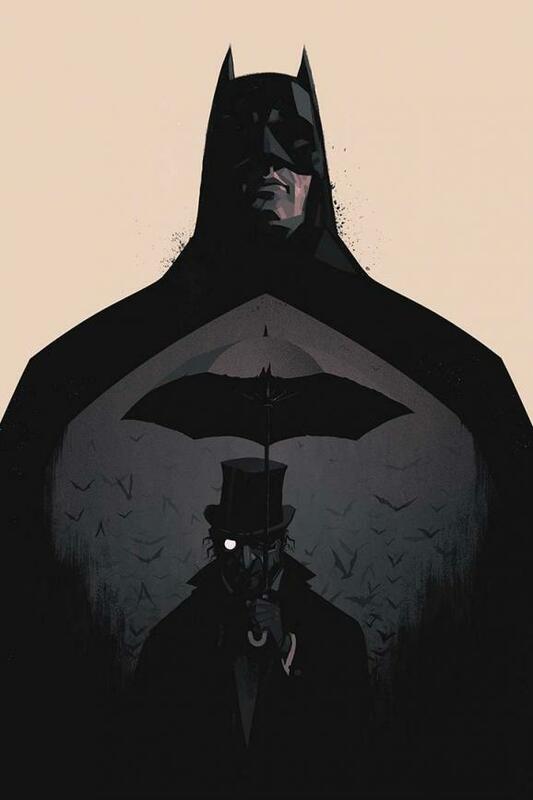 The cover is by Olly Moss. The 48 page Batman Black and White # 3 ($4.99) will go on sale November 6th. 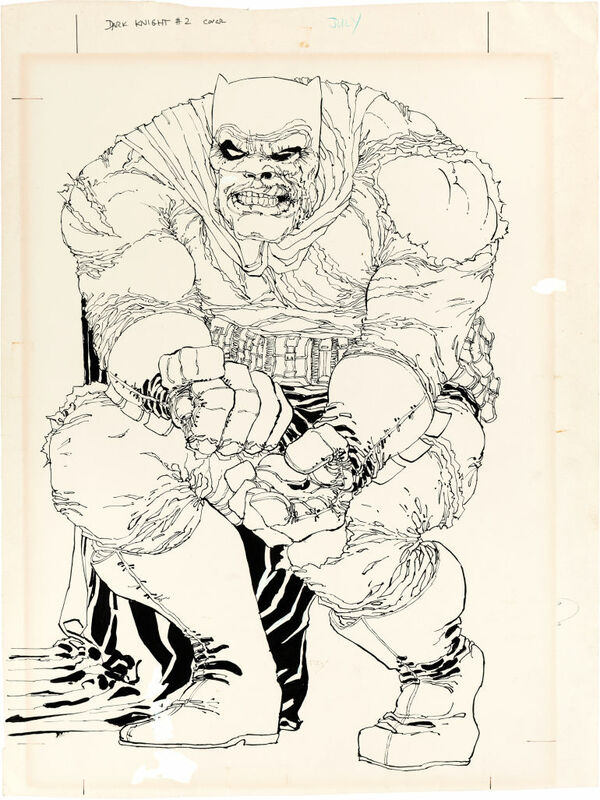 It’s the first cover from DC Comics’ 1986 four-issue “Dark Knight” miniseries to be sold and is expected to go for more than $500,000 in August. Miller’s story “radically altered the direction of comics,” said Todd Hignite, Heritage’s vice president. For three-quarters of a century, Superman has been fighting the good fight, keeping Earth and its inhabitants safe from all manner of villainy and disaster. As the DC Comics character turns 75, he’s also getting a major big-screen relaunch in director Zack Snyder’s Man of Steel, opening Friday. 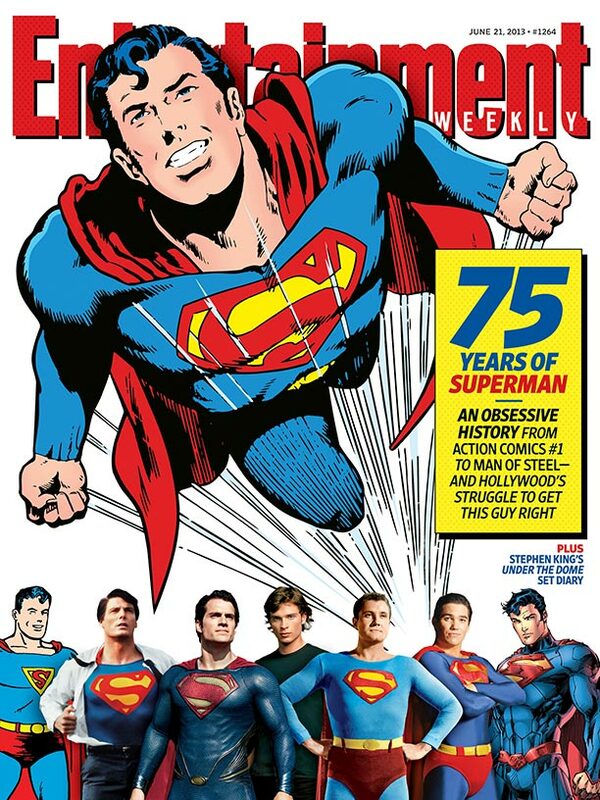 So for this week’s cover, Entertainment Weekly is taking a look back at all the critical moments in Superman’s evolution from dimestore hero to American pop-culture icon. The magazine starts with his first appearance in 1938′s Action Comics #1, and tracks him along every major step (and occasional misstep) up through his reemergence in the form of Man of Steel‘s angry, passionate, lost Superman, as played by Henry Cavill. – Origin Story: EW dives into the long, hard making of a hero with a look back at how Superman’s mythology evolved over the years. Find out how animation gave him the ability to fly, where his chrome-domed nemesis Lex Luthor first appeared, and how radio made Kryptonite his one and only weakness. – Man of Steel producer Christopher Nolan on the “science fiction-based” approach to retelling Superman’s origin as an alien invader saga. – Cavill on how a lonely life as a boarding school student fueled his performance as Superman, the ultimate outsider.